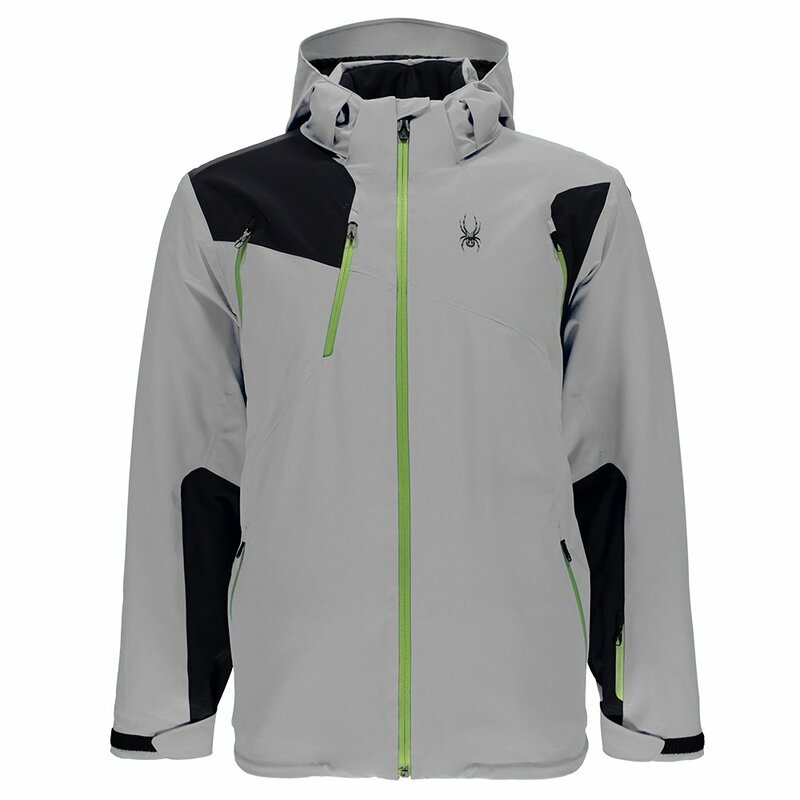 Hike farther, ski faster and revel in the snow longer in the Spyder Bromont Insulated Ski Jacket. This jackets 2L nylon fabric has integrated stretch for smooth, natural movement. A HydroWEB™ 2.0 laminate ensures that moisture doesn't get in, and watertight zippers and fully taped seams seal up the edges. The fabric breathes comfortably, and core ventilation helps you shed heat when you start to build too much. The powder skirt and hood are removable, providing protection if and when you need but dropping off to create a lighter, simpler configuration. Other features include a mesh goggle pocket, chamois lens wipe and adjustable gusseted cuffs with internal thumbhole cuffs. "Do these jackets come in tall sizes?" "Unfortunately, the Spyder Bromont Insulated Ski Jacket does not come in Tall sizing. We hope this information helps!" "Hi, I just want to confirm that the hood on this jacket is helmet compatible? Thanks for your help." "Thank you for your inquiry. Yes, the Spyder Bromont Insulated Ski Jacket is helmet compatible. We hope this information helps!"